I know where there is a 1918 Pillarless Coupe which can be bought. I think it may be an AACA Senior car, but otherwise is fully cosmetically restored. Would anyone care to give me some idea of what a reasonable value for this car would be? The car is local and has not been advertised, just word of mouth. Yes, I know "It's worth what you pay for it" and all that worn out stuff, but seriously. I just need some idea if this thing is overpriced or a bargain. Wish there was a straight answer for pricing certain T's. Not trying to be a smart guy but if it were me I would find out if there is another one to compare to as far as value is concerned. You said its cosmetically restored but what about mechanical condition and being correct as far as the year is concerned and in good condition. If its a AACA car does that make it worth more money? You probably have already thought about those things though. Others on the forum will have better answers than me for that type of T for sure. I guess I have an idea of the value of an "ordinary" early Coupe --- with the rear-hinged doors. But this is a pillarless Coupe, and I think they are kind of scarce. The 1918 is unique coming between the Couplet of 1915-17 and the conventional Coupes of 1919 through 1922. Pretty neat car, though. That's why I wonder if these earlier Coupes are more highly sought after. I've seen and driven the car around a barnyard but not on the road to get a better idea of condition. But it's all there and it does run. I've no idea if the engine was restored well, however. So what are they asking for it? Keep in mind the outrages $24,995 18 Couplet body on Ebay and work backwards from there. Yes they are rare but each of us has to decide what we think is practical for us. Looks like the guy should have paid ME to take the trucks ! As far as popularity goes a brass era car would probably sell quicker and be more desirable. Something to think about when you invest your money in your passion and hobby. >> So what are they asking for it?
. . . .and . . . They want $25,000 for the 1918 removable pillar Coupe. I know the $25,000 Coupelet body on eBay is absurd, but occasionally you do see huge prices on these things. That's why I really don't know. And don't know what they really sell for. One things sure, it would probably cost more than $25,000 to do a Senior-quality restoration on the Coupe today. I owned to raise the dough, but I wanted THAT car and the search was killing me !!! in the U.S., and it is worth more than my annual income for several years combined. those dreams really worth to me. than the dream, that's when I get off the bus. Just my .02 on this commonly asked question. I appreciate the sentiment and I agree with you. I'm also not a man of money but I've owned several cars, just one at a time. Thing is that I often do buy my dream, but because I can't seem to get married to a particular car, after several years I send it down the road to experience something else. My problem is that I lose money on every car ! How people make money on old cars is beyond me. I'm at the age where I can't afford to keep doing that, so whatever I buy should be close to what I could sell it for. Yeah, I really like early Coupes but if this thing is in reality only a $15,000 car, then I'd be foolish to spend $25,000 on it. But if it's even close to $25,000 considering what it is, then I'd go for it. If I lose a couple thou, it's not the end of the world. Loosing Ten Grand hurts. That's why I was hoping someone had a better idea on these Coupelet-type T's. Is it a coupe where the top folds and the window guides fold into the door? I think $25 is high. Closer to $15 than $25. I'd be reluctant to spend $20, but I might if the car were really nice. The mechanics wouldn't bother me a bit. I'm in the same boat as most folks, I've lost money on nearly every collector car I've owned (that's why they call it a hobby, not a business). That's OK by me because I enjoyed working on and driving each one of them. 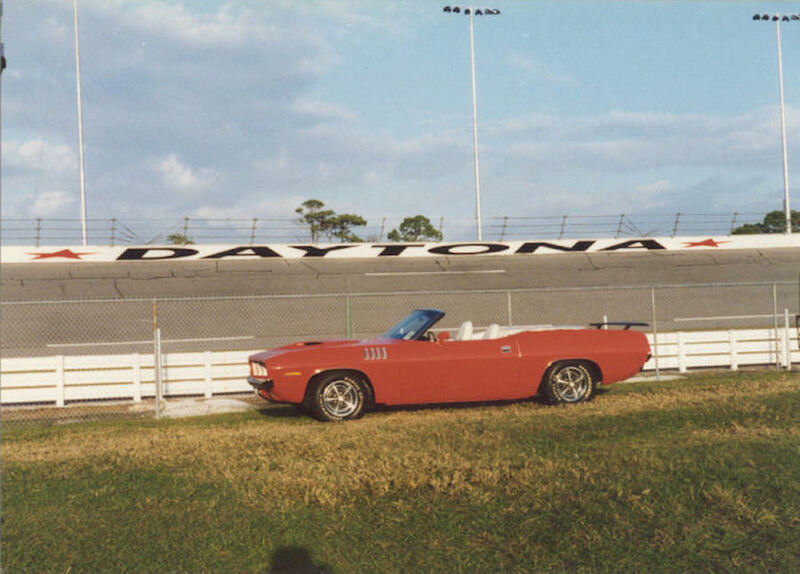 It's OT, but the only collector car I didn't lose money on was a 1971 Plymouth Barracuda convertible. I sold it for about the same amount of money I had in it (purchase price plus the price of the improvements I made before I sold it - I counted my time as free because it was "hobby" time, not work. Since I sold it, that car has changed hands at least two more times and the selling price has doubled every time it sold. >> Is it a coupe where the top folds and the window guides fold into the door? Not sure what you mean by "top folds" but, no the top does not lower. By removable pillar, what it does is the windows lower into the body, two windows on each side, and the guiding post where the door closes removes giving you a genuine "hardtop" effect. So it's very like a roadster with the top up --- something over your head but completely open on the sides. I think that's cool and would make a nice tour car in case the weather turns bad. That is, if you could make it leak proof. 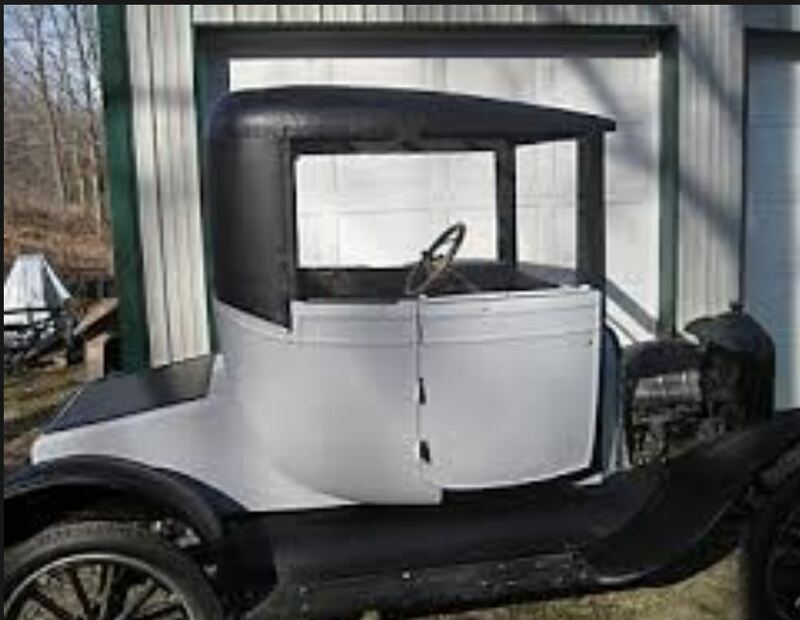 The photo is a 1917, so this car being an '18 does not have the padded top. The original '18 Coupelet body on ebay has been listed for a long time at that price and hasn't sold. Most ebay auctions last 7 days; this body was listed at that price for 30 days and didn't sell and it now has 7 days left on its second 30-day listing. An ebay seller can put any price on his merchandise he wants to. That does not establish its value, it just establishes what he'd like for it to bring. This seller bought this body from Fred Houston just a couple of years ago, and I don't believe he spent anywhere that amount for it then. I certainly don't begrudge the man for trying to make a profit, but I do believe he's being quite optimistic about the value of the body. If it sells for that, power to him. I agree with Richard that the car for sale mentioned in the original post is probably worth closer to $15K than $25K. I just drew the 15 number out of the air and it might be low, but I haven't seen the car. I just can't imagine that it's worth 25. Maybe 18. Our webmaster Chris bought a '16 Coupelet from Rollie Wightman through ebay couple of years ago for $28K. (I'm not giving away any secrets; ebay is pretty public.) The 16's have the folding top and are brass cars, and Rollie had spent a boatload of money to make it really nice, with Ray Wells doing the body, Ernie Romero doing the upholstery in leather, and McLaren wire wheels, to name just a few high-dollar items. In my mind Chris' car is worth a lot more than an '18 Coupelet, no matter how nice the '18 is. It's true that the removable-pillar cars are somewhat rare, as are all Coupelets. But the 17's are much more rare than the 18's, and the ones with the folding top are in more demand (I believe) than the removable-pillar ones. All this is to explain some of my thoughts on the matter. It's my opinion, and I just might be all wet. YMMV.